There are 15 (fifteen) shareholders of JSC “SAF Tehnika” (hereinafter – company) participating in the shareholders meeting representing 69.10% or 2 052 612 (two million fifty two thousand six hundred twelve) shares with the right to vote. Share capital represented at the shareholders meeting amounts to EUR 2 920 294 (two million nine hundred twenty thousand two hundred ninety four euro). One share gives a right to one vote at the shareholders meeting. The subscribed and paid-up share capital amounts to EUR 4 226 185 (four million two hundred twenty six thousand one hundred eighty five euro), which consists from 2 970 180 (two million nine hundred seventy thousand one hundred eighty) dematerialized bearer’s shares with the right to vote. Approval of the reports of the Board of Directors and the Supervisory Council for financial year 2014/2015. Decision adopted by 2 052 612 votes “for” and 0 “against”. Approval of the annual report for the financial year 2014/2015 and release the Board of Directors from responsibility for financial year 2014/2015. Decided: Approve the annual report of “SAF Tehnika” JSC and consolidated annual report of “SAF Tehnika” JSC for financial year 2014/2015 and release the Board of Directors from responsibility for financial year 2014/2015. Taking a decision regarding distribution of FY 2014/2015 profit. Decided: Pay dividends in amount of EUR 0.34 (thirty four cents) per share or altogether EUR 1 009 861, 20 (one million nine thousand eight hundred sixty one euro and twenty cents), but the remaining profit from financial year 2014/2015 keep as Jsc.”SAF Tehnika”’s retained earnings. The record date is 11th December 2015. Appointment of the auditor for the financial year 2015/2016 and determination of reward for the auditor. Decided: Appoint “Potapoviča un Andersone” SIA as the auditor of the “SAF Tehnika” JSC for the financial year 2015/2016 and determine the maximum remuneration for the auditor of the Annual Reports for the financial year 2015/2016 in the amount of EUR 9’000 (nine thousand euro ), not including taxes provided by the legislative acts. Authorize the Board to sign the contract with the elected auditor. Decision adopted by 2 023 712 votes “for” and 28 900 “against”. Election of the Members of the Supervisory Council. Decided: As of November 27, 2015 to recall from the position of member of the Supervisory Council - Vents Lacars, Juris Ziema, Andrejs Grisans, Ivars Senbergs, Aivis Olsteins. Authorization of the Supervisory Council to perform tasks of Revision Committee. AS SAF Tehnika 2015. gada 07.decembrī ir noslēgusi līgumu Nr. L-ĀTA-15-3666 (Projekta Nr. ĀTA/2.3.1.1.1./15/79/162) ar v/a "Latvijas Investīciju un attīstības aģentūra (LIAA)" par projekta "AS "SAF Tehnika" tirdzniecības misija uz Ēģipti" īstenošanu, ko līdzfinansē Eiropas Reģionālās attīstības fonds (ERAF). Projekta kopējās izmaksas ir 1 956.91 EUR. Projekta īstenošana tika uzsākta 2015.gada 1.jūlijā un pabeigta 2015.gada 31.augustā. Tā ietvaros „SAF Tehnika” valdes priekšsēdētājs Normunds Bergs piedalījās Latvijas Tirdzniecības un rūpniecības kameras organizētajā misijā uz Ēģipti, kuras laikā notika tikšanās ar nozares svarīgākajiem reģiona pārstāvjiem gan no valsts gan no privāto uzņēmēju sektora. Tirdzniecības misijas ietvaros tika prezentēts viss SAF Tehnikas produktu portfelis – mikroviļņu radioiekārtas (CFIP Lumina, CFIP 108, CFIP Phoenix, CFIP Marathon, CFIP Freemail, Integra), kā arī testēšanas un mērierīces (Spectrum Compact, SG Compact). (project No. ĀTA/2.3.1.1.1./15/78/197) concluded between „SAF Tehnika” JSC and government institution „The Investment and Development Agency of Latvia” of a project „Participation of „SAF Tehnika” JSC in international exhibitions”, on 12 November, 2015 the company exhibited at “Telecom Time 2015” which took place in Media Plaza, Netherlands. During the exhibition „Telecom Time 2015” there were presented Integra and Spectrum Compact product series. Visitors of „SAF Tehnika” stand were mainly from Netherlands and the main interest was about our Integra product serie. 1. Approve the reports of the Board of Directors and the Supervisory Council for financial year 2014/2015. 2. Approve the annual report of “SAF Tehnika” JSC and consolidated annual report of “SAF Tehnika” JSC and release the Board of Directors from responsibility for financial year 2014/2015. 3. Pay dividends in amount of EUR 0.34 (thirty four cents) per share or altogether EUR 1 009 861, 20 (one million nine thousand eight hundred sixty one euro and twenty cents), but the remaining profit from financial year 2014/2015 keep as Jsc.”SAF Tehnika”’s retained earnings. 4. Appoint “Potapociča un Andersone” SIA as the auditor of the “SAF Tehnika” JSC for the financial year 2015/2016 and determine the maximum remuneration for the auditor of the Annual Reports for the financial year 2015/2016 in the amount of EUR 9’000 (nine thousand euro ), not including taxes provided by the legislative acts. Authorize the Board to sign the contract with the elected auditor. 5. As of November 27, 2015 to recall from the position of member of the Supervisory Council - Vents Lacars, Juris Ziema, Andrejs Grisans, Ivars Senbergs, Aivis Olsteins. SAF's latest newsletter is out! Click on the links below to read our latest newsletter, which includes a new case study about the Integra, as well as an article about SAF's Line-of-Sight verification kit and a few other interesting things. Looking for winter-proof radios? Our customer reported a case where an Integra was hit by a massive chunk of falling ice, nevertheless staying operational and maintaining connectivity. Read the full story here. The trade show season continues, even though in November we'll have more time to spend on after-event follow-up activities. 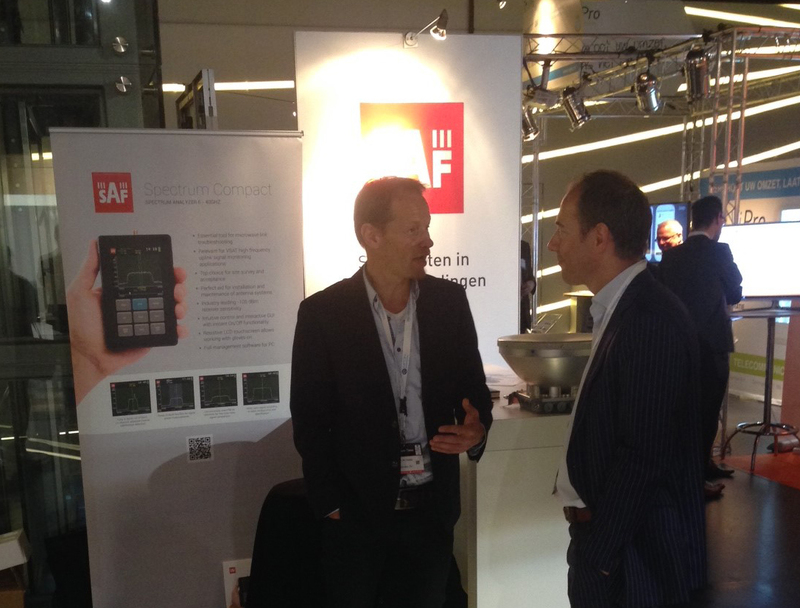 This month SAF will exhibit at the annual Telecom Time event in Utrecht, the Netherlands. Let us know if you would like to pay us a visit or arrange a meeting somewhere near Utrecht. What is line-of-sight verification kit? One of the major microwave industry magazines - the Microwave Journal - has recently published an article about SAF's Line-of-Sight verification kit, and our Compact series products. It's the first solution in the world, which allows to easily check the planned path of your microwave link for any obstacles prior to actual deployment. Full story here. Net turnover of the “SAF Tehnika” Group in the 2014/2015 financial year was EUR 12.85 million, which is EUR 827 thousand or 6.9% more than in the previous FY 2013/2014. The Group's financial result for the reporting year 2014/2015 was a profit of EUR 1 279 thousand, which is greater by 1.15 million EUR as compared to the Group’s result for 12 months in the previous FY 2013/2014 (127 thousand euros). Net turnover of the “SAF Tehnika” Group which consists of SAF Tehnika AS (hereinafter – the Parent) operating from Riga, Latvia, a wholly owned subsidiaries “SAF North America LLC” and “SAF Services LLC”, in the 2014/2015 financial year was EUR 12.85 million, which is EUR 827 thousand or 6.9% more than in the previous financial year 2013/2014. During the reporting year the Group worked on assessing and identifying the needs of specific customers by developing a niche product offering. Additional revenue was drawn from the development of specific customer required functionality for SAF Tehnika products and from technical consultations provided for network planning and construction. There is a clearly growing demand for radio systems, which ensure increased speed of data transmission and which can be developed or renewed in order to increase their data transmission capacity. Such demand trends increasingly determine the direction of development both for SAF Tehnika and the market in general. During the reporting year SAF Tehnika purchased the remaining 50% shares of SAF Services, thus becoming the sole owner of SAF Services. In the future the Group plans on using SAF Services to market other new products of SAF Tehnika in the North American market. Export accounts for 97.26% of the turnover and constituted EUR 12.5 million. In the reporting period the Group's products were exported to 89 countries worldwide. The Group’s net cash flow as at the year-end amounted to EUR 4.32 million. The Group has reserved part of the free cash funds in the amount of EUR 1.89 million for short-term investments. The Group's net cash flows for the 12 months of the financial year amounted to EUR 238 thousand. During the reporting year the Group invested EUR 445 thousand to purchase IT infrastructure, production and development equipment, software and licences, as well as to certify products. The Group's financial result for the reporting year 2014/2015 was a profit of EUR 1 279 thousand. The Parent company’s financial result for 2014/2015 was a profit 1 223 thousand EUR. The Board of the Company suggests that dividends in the amount of EUR 1 million be distributed to shareholders, and EUR 223 thousand be retained undistributed. The Microwave Journal has published an article about SAF's Line of Sight verification kit in its October'15 issue. A new line-of-sight (LoS) kit consisting of the Spectrum Compact handheld microwave spectrum analyzer, an SG Compact signal generator and two portable beacon antennas is claimed to be the first dedicated microwave link LoS verifi cation kit. It is designed to make sure there are no obstacles or interference disrupting the microwave hop. The main purpose of the kit is to make long distance link installation faster, more reliable and less expensive. It is aimed at installers, system integrators and network owners, as well as mobile operators. Typically, installers have to physically survey the whole distance of the longest links to make sure there are no obstacles within the planned path. It can be a time-consuming and expensive process that can’t guarantee that the link is effectively deployable within the chosen path. With the LoS kit, it is possible to verify distances up to 85 km with high accuracy. Additionally, the kit enables the lowest possible antenna height on the tower to be ascertained, decreasing the total cost of link ownership. Also, if a newly installed link isn’t operating, it is diffi cult for installers to discover whether it is due to technical issues or obstacles in the chosen path. SAF’s LoS verifi cation kit eliminates the possibility of the latter. The process of LoS verifi cation requires a 6 GHz SG Compact signal generator that transmits the signal to the far side of the proposed link at up to 13 dBm output power. The Spectrum Compact spectrum analyzer (shown in Figure 1) serves as the receiver and has -105 dBm/MHz sensitivity. The two wide-angle beamwidth beacon antennas included in the kit have 22 dBi amplifi cation for easier long distance link verifi cation. Read more about the Spectrum Compact and SG-Compact devices in the Microwave Journal's October issue. On October 19, 2015 „SAF Tehnika” JSC and government institution „The Investment and Development Agency of Latvia” concluded agreement No.L-ĀTA-15-3427 (project No. ĀTA/2.3.1.1.1./15/78/197) regarding implementation of the project "Participation of "SAF Tehnika" JSC in international exhibitions" co-financed by European Regional Development Fund. Project expenses estimate altogether - 85 693,67 EUR. The Board of Directors of “SAF Tehnika” JSC (Reg.No.40003474109, legal address: 24a, Ganibu dambis, Riga, LV-1005, Latvia) informs that it convenes a regular shareholders’ meeting on 27th November 2015 at 10.00 a.m., at “SAF Tehnika” JSC meeting room (24a, Ganibu dambis, Riga, Latvia). Shareholders and their representatives can submit draft decisions regarding the issues of the agenda to be discussed on the shareholders meeting until 3th November 2015 at “SAF Tehnika” administration (Ganibu dambis 24a, Riga, LV-1005) every working day from 9.00 a.m. to 5.00 p.m. Draft resolutions on the issues of the agenda to be discussed on the shareholders meeting will be published on 13th November 2015. Draft resolutions will be available also on company’s webpage www.saftehnika.com, as well as at “SAF Tehnika” administration (Ganibu dambis 24a, Riga, LV-1005) every working day from 9.00 a.m. to 5.00 p.m.
Only persons or entities which are shareholders on the date of record will be entitled to participate in the shareholders’ meeting. The date of record is 19 November 2015. Registration of participants will take place at the venue on the day of the shareholders’ meeting – on 27th November 2015 from 9.30 a.m. until 10.00 a.m.
(project No. ĀTA/2.3.1.1.1./15/78/197) concluded between „SAF Tehnika” JSC and government institution „The Investment and Development Agency of Latvia” of a project „Participation of „SAF Tehnika” JSC in international exhibitions”, on October 10 – 17, 2015 the company exhibited at “WISPAPALOOZA 2015” which took place in The Rio Hotel, Las Vegas. During the exhibition „WISPAPALOOZA” there were presented Integra and Spectrum Compact product series. Visitors of „SAF Tehnika” stand were mainly from different regions of USA and the main interest was about our Integra product serie. (project No. ĀTA/2.3.1.1.1./15/78/197) concluded between „SAF Tehnika” JSC and government institution „The Investment and Development Agency of Latvia” of a project „Participation of „SAF Tehnika” JSC in international exhibitions”, on September 29 – October 2, 2015 the company exhibited at “EUTC Annual Conference 2015” which took place in Dublin, Ireland. 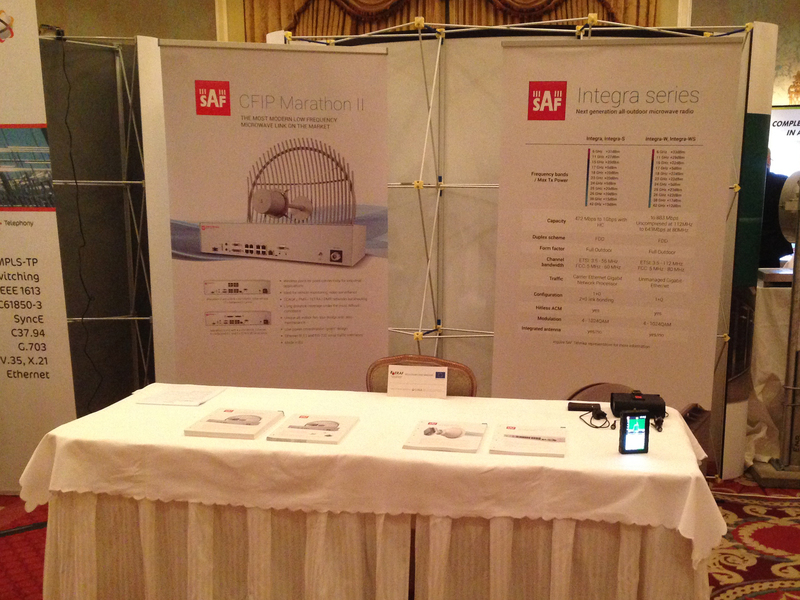 During the exhibition „EUTC Annual Conference 2015” there was presented Spectrum Compact spectrum analyzer, Integra product series and CFIP Marathon II. Visitors of „SAF Tehnika” stand were mainly from Ireland and other parts of Europe. According to the agreement No. L-ĀTA-15-3427 (project No. ĀTA/2.3.1.1.1./15/78/197) concluded between „SAF Tehnika” JSC and government institution „The Investment and Development Agency of Latvia” of a project „Participation of „SAF Tehnika” JSC in international exhibitions”, on September 9 – 11, 2015 the company exhibited at “CTIA 2015” which took place in Sands Expo & Convention Center, Las Vegas, Nevada USA. During the exhibition „CTIA 2015” there were presented Spectrum Compact product series as well as Integra product series. Majority of “SAF Tehnika” stand (Booth # 4850, Sands Expo and Convention Center) visitors were existing and potential clients mainly from the USA. According to the agreement No. L-ĀTA-15-3427 (project No. ĀTA/2.3.1.1.1./15/78/197) concluded between „SAF Tehnika” JSC and government institution „The Investment and Development Agency of Latvia” of a project „Participation of „SAF Tehnika” JSC in international exhibitions”, on September 10 – 15, 2015 the company exhibited at “IBC 2015” which took place in Amsterdam, the Netherlands. During the exhibition „IBC 2014” there were presented Spectrum Compact and Signal Generator product series as well as PhoeniX-C radio. Majority of “SAF Tehnika” stand visitors were existing and potential clients mainly from the Netherlands, Benelux and other European countries. (project No. ĀTA/2.3.1.1.1./15/78/197) concluded between „SAF Tehnika” JSC and government institution „The Investment and Development Agency of Latvia” of a project „Participation of „SAF Tehnika” JSC in international exhibitions”, On September 8-10, 2015 the company exhibited at “European Microwave Week” which took place in Paris, France. During the exhibition „European Microwave Week 2015” SAF Tehnika presented Spectrum Compact spectrum analyzers and SG Compact microwave signal generators. Visitors of „SAF Tehnika” stand were mainly microwave engineers and entrepreneurs from Europe. „SAF Tehnika” JSC is an ISO certified wireless data transmission equipment manufacturer. The company's products are produced in Latvia, Europe and sold in over 130 countries worldwide. „SAF Tehnika” has been listed on NASDAQ Riga since 2004. For Q4 of the FY 2014/2015, the Group’s unaudited consolidated net turnover was 3.22 million euros, which is by 7% or 0.2 million euros less than in Q4 of the previous financial year, but by 17% more than in Q3 of this financial year. The Group closed Q4 of the FY 2014/2015 with 278 thousand euros profit, and the consolidated non-audited result for 12 months of the FY 2014/2015 was 1.2 million euros profit, which is greater by 1.1 million euros as compared to the Group’s result for 12 months in the previous FY 2013/2014 (127 thousand euros). For Q4 of the FY 2014/2015, the Group’s unaudited consolidated net turnover was 3.22 million euros, which is by 7% or 0.2 million euros less than in Q4 of the previous financial year, but by 17% more than in Q3 of this financial year. Almost half of the turnover of the reporting quarter (47%) was made by revenues from North/Latin Americas, while the region’s turnover decreased by 20% and 0.38 million euros as against the same quarter last year, but was by 7% more than sales volumes in Q3 this year, thus at large equalizing revenue distribution by quarters. Sales in the European and CIS region totaled 44% from the Q4 turnover. The region’s turnover rose by 6% as compared to sales in the same quarter of the previous FY and was by 55% or 0.5 million euros more than in Q3 FY 2014/15, owing to the Group’s ability to provide necessary products and services to specific customers. However, the CIS part in the region’s revenue is still rather small. Sales in the AMEA (Asia, Middle East, Africa) region equaled 9% of the turnover during the quarter and rose by 30% as against Q3 of the previous FY, but a bit less than in Q3 of this FY. For 12 months of the FY 2014/2015, the Group’s unaudited consolidated net turnover was 12.82 million euros, which represented 7% increase comparing to revenues generated in the respective period of the previous financial year. The consolidated non-audited net result of the Group for Q4 of the FY 2014/2015 was 278 thousand euros profit. The consolidated non-audited net result of the Group for 12 months of the FY 2014/2015 was 1.2 million euros profit, which is greater by 1.1 million euros as compared to the Group’s result for 12 months in the previous FY 2013/2014 (i.e. 127 thousand euros). The Group’s net cash flow for the 12 month period of the financial year was positive – 237 thousand euros. SAF Tehnika is the company with the long-term competence in the market niche of microwave radio, proven capable to deliver products of notable quality to general market and to differentiate by developing custom-tailored solutions. The Group is financially stable. The task for the Group is to continue development of next generation wireless data transmission devices focusing on functionality, product cost reduction, customer satisfaction, efficient production, and internal operations. The goal is to regain sales levels to ensure a positive net result in the long term. Due to the intense competitive pressure, the Board of SAF Tehnika cannot provide certain prognosis for sales figures and operational results. SAF Tehnika announces that according to the decision of the Company’s Council as of June 5, 2015, Zane Jozepa is elected as the company's Board member starting June 8, 2015. Besides, Zane Jozepa is holding a position of Chief Financial Officer. At the same time SAF Tehnika confirms that the expected changes in the company's management are not related to the changes in the company's strategy of the product development and international operations. Zane Jozepa (born in 1982) has more than 10 years’ experience in finance. From 2006 till day of commencing her duties in SAF Tehnika, Zane has worked for SIA Citrus Solutions, the company providing design, building and maintenance services for engineering and technical systems and infrastructure, and being daughter company of the leading IT and telecommunications services provider in Latvia – Lattelecom. Initially she started as a financial controller and become a Head of Finance in 2008 and a Board Member in 2012. Within the company, Zane Jozepa was responsible for organization and supervision of financial management, budgeting, including goal setting and control. She has been involved in new business development and strategy setting, the processes of control and analysis. Besides she has gained experience in credit and price setting administration at SIA Coca Cola HBC Latvia from 2004-2006. Zane Jozepa holds bachelor’s degree in finance management from Banku Augstskola (BA School of Business and Finance). Zane Jozepa does not have SAF Tehnika shares. Current member of the Management Board Aira Loite is released from her Management Board duties starting June 8, 2015. Her leave from the company is related to her wish to apply for studies in new fields and to decrease workload temporarily. Further SAF Tehnika’s Board will consist of 4 members – Normunds Bergs, Chairman of Board, and members of Board – Didzis Liepkalns, Janis Bergs and Zane Jozepa. Riga, May 14, 2015 - SAF Tehnika announces that as of May 15, 2015 this year, Zane Jozepa is appointed as the company's Chief Financial Officer. Within a month we also expect Zane Jozepa to take up a position of a Board Member, thus replacing the company's COO Aira Loite whose leave from the company is related to her wish to apply for studies in a new fields and desire to decrease workload temporarily. The duties of Zane Jozepa at SAF Tehnika will include the finance and administrative management and the investor relations. Zane Jozepa has worked since 2006 till day of commencing her duties in SAF Tehnika for SIA Citrus Solutions, the company providing design, building and maintenance services for engineering and technical systems and infrastructure, and being daughter company of the leading IT and telecommunications services provider in Latvia – Lattelecom. Initially she started as financial controller and become a Head of Finance in 2008 and a Board Member in 2012. Within the company, Zane Jozepa was responsible for organization and supervision of financial management, budgeting, including goal setting and control. 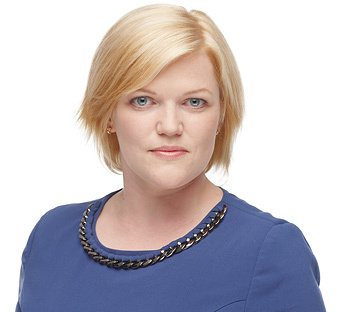 She has been involved in new business development and strategy setting, processes of control and analysis. Besides she has experience as credit and price setting administration got in SIA CocaCola HBC Latvia from 2004-2006. SAF Tehnika’s non-audited consolidated net sales for the third quarter of financial year 2014/15 were 2.75 million EUR, increasing by 19% or 0.4 million EUR compared to the third quarter of the previous financial year, but being by 25% less than sales in the previous quarter – Q2 of FY 2014/2015. The SAF Tehnika group ended the third quarter of 2014/15 financial year with profit 743 thousand EUR. The net result of the Group for the 9 months of 2014/15 financial year was profit 932 thousand EUR which is good result comparing with 580 thousand consolidated loss the Group ended 9 months period of previous financial year 2013/2014. The SAF Tehnika group’s non-audited consolidated net sales for the third quarter of financial year 2014/15 were 2.75 million EUR, increasing by 19% or 0.4 million EUR compared to the third quarter of the previous financial year and being by 25% less than sales in the previous quarter – Q2 of FY 2014/2015. Sales in the North and Latin America formed the biggest part of total sales (52%) in the reporting quarter being by 49% or 0.46 million EUR more than in the same quarter of the last financial year. Sales in Europe and CIS region represented 33% of the 3rd quarter’s turnover. Sales there declined by 6% compared with the same quarter of the last financial and were by 45% or 0.77 million EUR less than in Q2 of the current financial year. The reason for decrease – were no similar scale orders for Europe customers as were in the Q2 FY 2014/15. Sales in Asia Pacific, Africa and Middle East was 15% of quarterly sales and was by 9% more than in the 3rd quarter of the previous financial year and slightly more than in the Q2 of current financial year. SAF Tehnika’s 2014/15 financial year’s 9 month unaudited consolidated net turnover was 9.6 million EUR, which represented 12% increase comparing with the revenues generated in the respective period of the previous financial year. The consolidated non-audited net result of the Group for the third quarter of 2014/15 financial year was profit 743 thousand EUR. The consolidated non-audited net result of the Group for the 9 months of 2014/15 financial year was profit 932 thousand EUR which is good result comparing with 580 thousand consolidated loss the Group ended 9 months period of previous financial year 2013/2014. The Group’s net cash flow for the 9 month period of the financial year was positive – 1.74 million EUR. SAF Tehnika will keep its previously announced main focus on developing excellent quality microwave data transmission equipment with competitive price and functionality balance, will continue looking for new niches to explore its microwave competence. Sales resources will be targeted to regions with highest potential. The Group is financially stable. The goal is to regain sales levels which ensures positive net result in a long-term. Due to intense competitive pressure the Board of the SAF Tehnika cannot provide certain prognosis for sales figures and operational results. According to the agreement No. L-ĀTA-14-2194 (project No. ĀTA/2.3.1.1.1./14/62/027) concluded on between „SAF Tehnika” JSC and government institution „The Investment and Development Agency of Latvia” of a project „Participation of „SAF Tehnika” JSC in international exhibitions”, on April 27-30 company exhibited at Wireless Infrastructure Show 2015 held in Holywood, USA. During the exhibition "NAB Show" SAF Tehnika presented Spectrum Compact/SG Compact product lines. The majority of “SAF Tehnika” booth visitors were WISP's and various system integrators from USA. „SAF Tehnika” JSC is an ISO certified wireless data transmission equipment manufacturer. The company's products are produced in Latvia, Europe and sold in over 130 countries worldwide. „SAF Tehnika” has been listed on NASDAQ OMX Riga since 2004. According to the agreement No. L-ĀTA-14-2194 (project No. 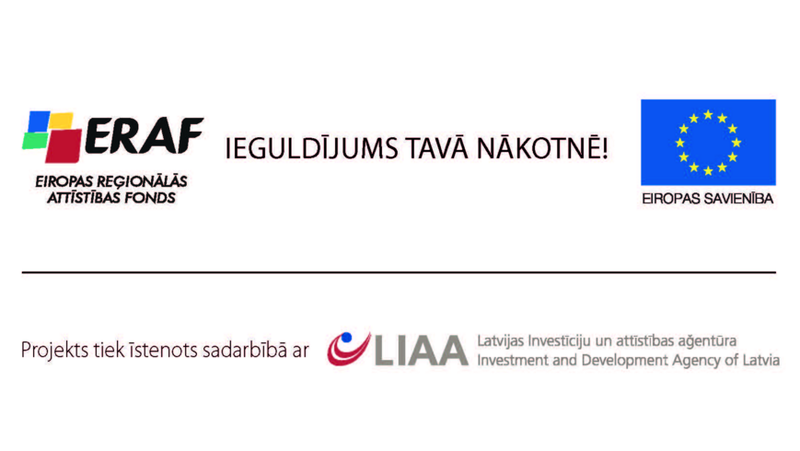 ĀTA/2.3.1.1.1./14/62/027) concluded on between „SAF Tehnika” JSC and government institution „The Investment and Development Agency of Latvia” of a project „Participation of „SAF Tehnika” JSC in international exhibitions”, on April 11-16 company exhibited at NAB Show 2015 held in Las Vegas, USA. During the exhibition "NAB Show" SAF Tehnika presented Spectrum Compact/SG Compact product lines as well as PhoeniX radios. The majority of “SAF Tehnika” booth visitors were WISP's from USA. „SAF Tehnika” JSC is an ISO certified wireless data transmission equipment manufacturer. The company's products are produced in Latvia, Europe and sold in over 130 countries worldwide. „SAF Tehnika” has been listed on NASDAQ OMX Riga since 2004. “SAF Tehnika” JSC announces that it has purchased 50% of “SAF Services” LLC shares from “STREAMNET” OÜ, (Reg. Nr. 12245741, Estonia) according to an agreement signed on April 23, 2015, thus becoming the 100% owner of “SAF Services” LLC. “SAF Services” was established in the State of Delaware, USA in August 2012 as a joint venture with “STREAMNET” OÜ where each founder held 50% of the shares. The aim of the company was to provide local customers with services related to the creation, long-term maintenance and management of data transmission networks. Although “SAF Services” has successfully built its first trial network with “SAF Tehnika” equipment and the customer acknowledged it as built according to the defined requirements, the cooperation agreement wasn’t signed and “SAF Services” was not able to get return on this investment. Further development of this business is therefore frozen and the founder “STREAMNET” OU decided to discontinue further cooperation. “SAF Tehnika” will continue promoting other new products through “SAF Services” LLC in the North America market. SAF Tehnika Announces election of Janis Bergs in the Board of SAF Tehnika. SAF Tehnika announces that according to decision of the Company’s Council as of April 13, 2015, Janis Bergs is elected as the company's Board member. Besides Janis Bergs is holding a position of Vice President of Sales and Marketing of SAF Tehnika being responsible for promotion of SAF Tehnika products and solutions, in particular with focus to North America market. Jānis Bergs (born in 1970) has more than 20 years’ experience in IT industry. From 2000 until 2006 he served as board member and later as CEO of the largest Baltic’s IT company Microlink. When Microlink was sold to TeliaSonera in 2006, he with other partners started company FMS that became leader in Latvian ERP market with own ERP software package "Horizon". In 2014 FMS was sold to largest ERP software company in Nordic VISMA (www.visma.com). After acquisition FMS was renamed to Visma Enterprise and Janis worked there until January, 2015. Janis Bergs was Member of SAF Tehnika council from November 2006 till August 2010, long term Chairman of Board of Latvian ICT Cluster and over 10 years served as board member of LIKTA – Latvian IT and telecommunication association. Janis have been teaching entrepreneurship at Riga Business School. Jānis Bergs graduated from Riga Technical University as radio engineer and holds MBA degree from Riga Business School. He does not hold SAF Tehnika shares. 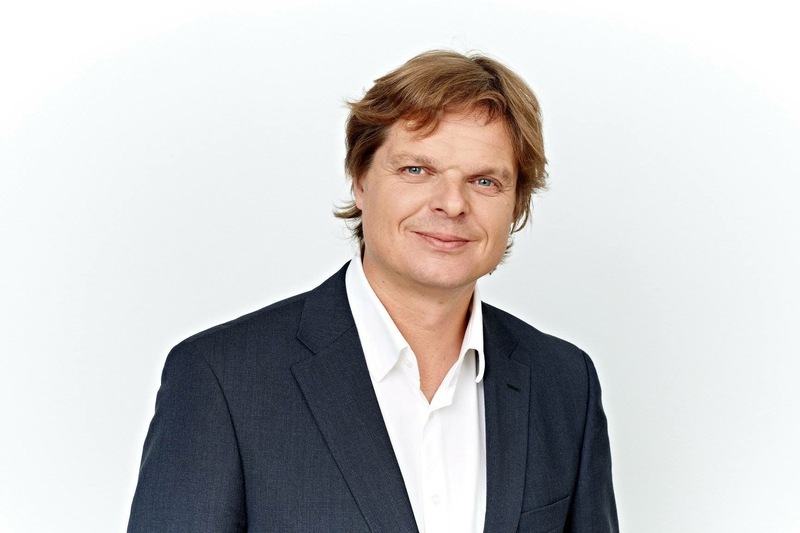 Further SAF Tehnika’s Board will consist from 4 members – Normunds Bergs, Chairman of Board, and members of Board – Didzis Liepkalns, Janis Bergs and Aira Loite. According to the agreement No. L-ĀTA-14-2194 (project No. ĀTA/2.3.1.1.1./14/62/027) concluded on between „SAF Tehnika” JSC and government institution „The Investment and Development Agency of Latvia” of a project „Participation of „SAF Tehnika” JSC in international exhibitions”, on March 24-27 company exhibited at “CCA Global” held in Atlanta, Georgia, USA. During the exhibition "CCA Global" SAF Tehnika presented Integra and Spectrum Compact/SG Compact product lines as well as PhoeniX radios. The majority of “SAF Tehnika” booth visitors were WISP's from USA. „SAF Tehnika” JSC is an ISO certified wireless data transmission equipment manufacturer. The company's products are produced in Latvia, Europe and sold in over 130 countries worldwide. „SAF Tehnika” has been listed on NASDAQ OMX Riga since 2004. According to the agreement No. L-ĀTA-14-2194 (project No. ĀTA/2.3.1.1.1./14/62/027) concluded on between „SAF Tehnika” JSC and government institution „The Investment and Development Agency of Latvia” of a project „Participation of „SAF Tehnika” JSC in international exhibitions”, on March 16-20 company exhibited at “CeBIT 2015” held in Hanover, Germany. During the exhibition "CeBIT 2015" SAF Tehnika presented Spectrum Compact/SG Compact product lines as well as all major microwave radio product series - The Integra, Lumina, Marathon, PhoeniX and others. The majority of “SAF Tehnika” booth visitors were various industry specialists mainly from Europe. „SAF Tehnika” JSC is an ISO certified wireless data transmission equipment manufacturer. The company's products are produced in Latvia, Europe and sold in over 130 countries worldwide. „SAF Tehnika” has been listed on NASDAQ OMX Riga since 2004. According to the agreement No. L-ĀTA-14-2194 (project No. ĀTA/2.3.1.1.1./14/62/027) concluded on between „SAF Tehnika” JSC and government institution „The Investment and Development Agency of Latvia” of a project „Participation of „SAF Tehnika” JSC in international exhibitions”, on March 2-5 company exhibited at “Mobile World Congress 2015” held in Barcelona. 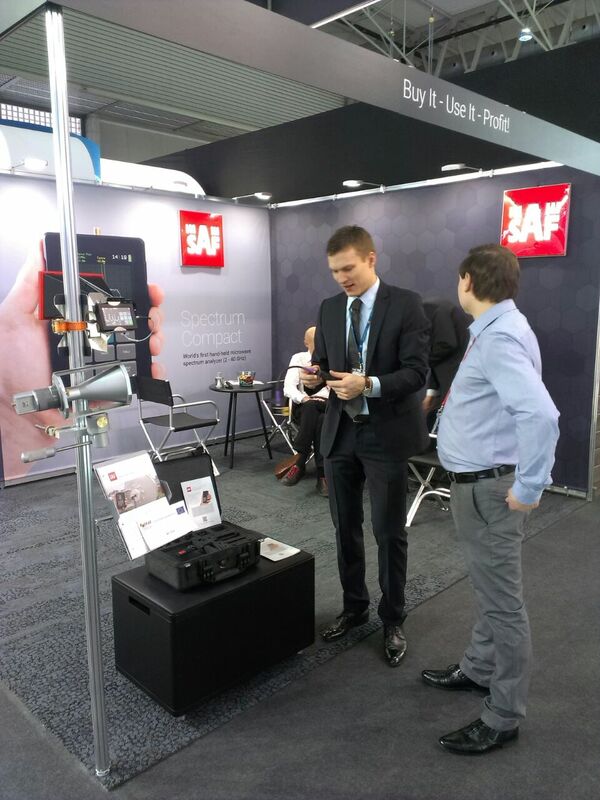 During the exhibition "Mobile World Congress 2015" SAF Tehnika presented Spectrum Compact/SG Compact product lines. The majority of “SAF Tehnika” booth visitors were various industry specialists from all around the world. 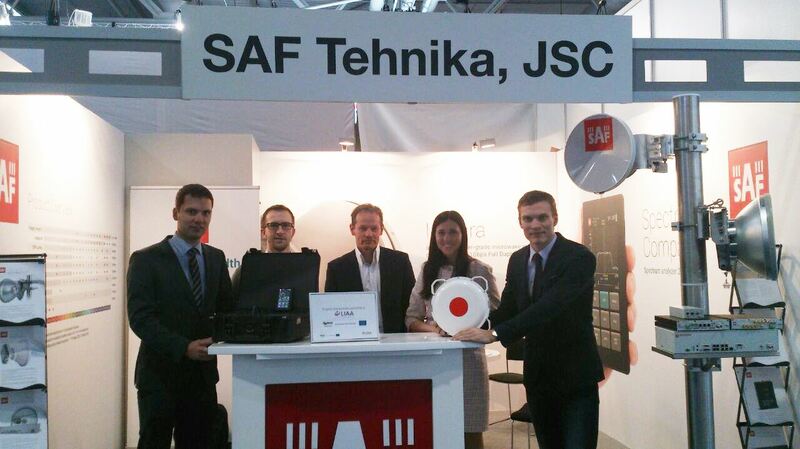 „SAF Tehnika” JSC is an ISO certified wireless data transmission equipment manufacturer. The company's products are produced in Latvia, Europe and sold in over 130 countries worldwide. „SAF Tehnika” has been listed on NASDAQ OMX Riga since 2004. According to the agreement No. L-ĀTA-14-2194 (project No. ĀTA/2.3.1.1.1./14/62/027) concluded on between „SAF Tehnika” JSC and government institution „The Investment and Development Agency of Latvia” of a project „Participation of „SAF Tehnika” JSC in international exhibitions”, on February 22-28 company exhibited at “WISPAmerica 2015” held in St.Louis, Missouri, USA. During the exhibition "WISPAmerica 2015" SAF North America presented the 11GHz Integra as well as other Integra series radios and a Spectrum Compact/SG Compact product lines. The majority of “SAF Tehnika” booth visitors were wireless internet service providers from United States. „SAF Tehnika” JSC is an ISO certified wireless data transmission equipment manufacturer. The company's products are produced in Latvia, Europe and sold in over 130 countries worldwide. „SAF Tehnika” has been listed on NASDAQ OMX Riga since 2004. According to the agreement No. L-ĀTA-14-2194 (project No. ĀTA/2.3.1.1.1./14/62/027) concluded on between „SAF Tehnika” JSC and government institution „The Investment and Development Agency of Latvia” of a project „Participation of „SAF Tehnika” JSC in international exhibitions”, on February 23-26 company exhibited at “NATE Unite 2015” which took place at Lake Buena Vista, Florida, USA. During the conference "NATE Unite 2015" SAF North America presented Spectrum Compact and SG Compact product lines. The majority of “SAF Tehnika” booth visitors were microwave engineers and regulators from United States. „SAF Tehnika” JSC is an ISO certified wireless data transmission equipment manufacturer. The company's products are produced in Latvia, Europe and sold in over 130 countries worldwide. „SAF Tehnika” has been listed on NASDAQ OMX Riga since 2004. AS SAF Tehnika noslēgusi partnerības līgumu ar biedrību „Latvijas Viesnīcu un restorānu asociācija”, lai nodrošinātu uzņēmuma darbinieku apmācību projekta „Partnerībā organizētās apmācības elektronikas, elektrotehnikas un telekomunikācijas nozares uzņēmumu darbaspēka kvalifikācijas celšanai un konkurētspējas veicināšanai (līguma Nr. L‑APA-10-0019)” ietvaros. Projekts tiek organizēts sadarbībā ar biedrību „Latvijas Elektrotehnikas un elektronikas rūpniecības asociācija (LETERA)” un Latvijas Investīciju un Attīstības aģentūru (LIAA). Projekts tiek īstenots laikā no 2010.gada 13.novembra līdz 2015.gada 1.jūnijam. SAF Tehnika non-audited consolidated net sales for the second quarter of financial year 2014/15 were 3.6 million EUR, increasing by 28% or 0.8 million EUR compared to the second quarter of the previous financial year. The consolidated non-audited net result of the “SAF Tehnika” for the second quarter of 2014/15 financial year was loss 96.7 thousand EUR and for the 6 months of 2014/15 financial year - profit 188 thousand EUR. SAF Tehnika non-audited consolidated net sales for the second quarter of financial year 2014/15 were 3.6 million EUR, increasing by 28% or 0.8 million EUR compared to the second quarter of the previous financial year and being by 14% more than sales in the previous quarter – Q1 of FY 2014/2015. Sales in Europe and the CIS region represented the largest part of the 2nd quarter’s turnover (46%). Sales there rose by 68% or 0.68 million EUR compared with the same quarter of last financial year due to the Group’s ability to provide products and solutions specific for particular customer needs – like low latency data transmission, industrial applications where fiber is not available and others. CIS part is still small in the region’s sale. Sales in Asia Pacific, Africa and Middle East represented 10% of quarterly sales and were 29% less than in the 2nd quarter of the previous financial year, but 23% more than in the Q1 of current financial year. Regaining previous sales level in Africa countries is one of challenges for next periods. Sales in the North and Latin America formed 44% of total sales. 2014/15 financial year’s 6 month unaudited consolidated net turnover was 6.85 EUR, which represented 10% increase comparing with the revenues generated in the respective period of the previous financial year. SAF Tehnika’s the consolidated non-audited net result for the second quarter of 2014/15 financial year was loss 96.7 thousand EUR, being by 261 thousand EUR better result than for the quarter year before. The consolidated non-audited net result of the 6 months of 2014/15 financial year was profit 188 thousand EUR which is achievement comparing with 227 thousand consolidated loss the Group ended 6 months period of previous financial year 2013/2014. SAF Tehnika net cash flow for the 6 month period of the financial year was positive – 966 thousand EUR. In 2015 there are no changes in the SAF Tehnika’s main focus on developing excellent quality microwave data transmission equipment with competitive price and functionality balance, besides the company is researching new niches to explore its microwave competence. Sales resources will be targeted to regions with highest potential. The Group is financially stable. The goal is to regain sales levels which ensures positive net result in a long-term. Due to intense competitive pressure the Board of the SAF Tehnika cannot provide certain prognosis for sales figures and operational results. „SAF Tehnika” JSC is an ISO certified wireless data transmission equipment manufacturer. The company's products are produced in Latvia, Europe and sold in over 130 countries worldwide. „SAF Tehnika” has been listed on NASDAQ OMX Riga since 2004. SAF Tehnika wholly owns subsidiary “SAF North America” LLC and holds 50% of a joint-venture company “SAF Services” LLC. Both of the mentioned companies are operating from Denver, CO, USA serving North American market. SAF North America is excited to enter into a distribution relationship with the premier test equipment distributor in North America, TESSCO. Considering TESSCO’s extensive knowledge and resources withing the wireless marketplace, SAF Tehnika has decided to entrust Spectrum Compact’s distribution in North America to its team of dedicated professionals. Currently TESSCO will become a major distributor of SAF Spectrum Compact and SG Compact product families in United States. SAF Spectrum Compact currently is available in five frequency bands – 2-8GHz; 6-12GHz; 10-18GHz; 17-24GHz and 24-40GHz, and is being sold separately or as a kit. SG Compact is available in 6-18GHz frequency bands with more frequencies to follow. For more information visit SAF company’s landing page on TESSCO website. 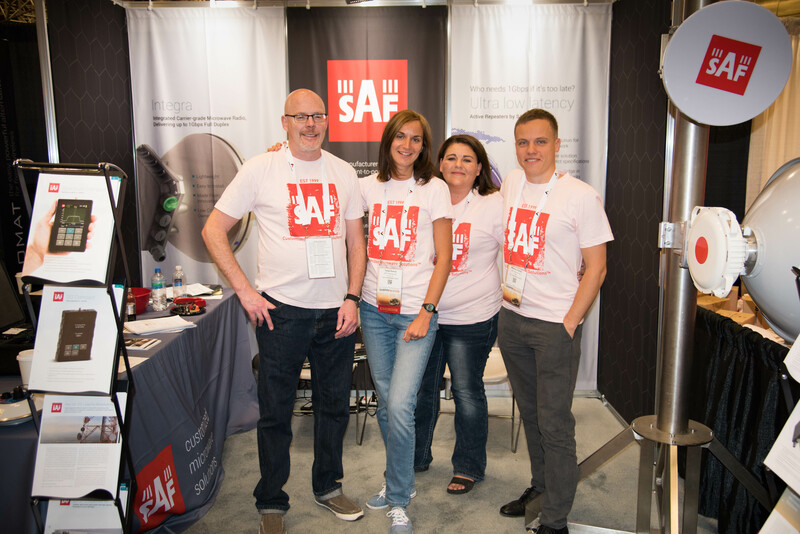 SAF North America also takes part in the annual TESSCO ONE Innovation Showcase held on February 3-4 in AT&T Stadium, Dallas, Texas. Visitors will find SAF Tehnika at the booth #71 where they will be able to learn more about Spectrum Compact and SG Compact and get a hands-on experience. SAF Tehnika JSC is taking part in project "Latvian Internet Association and Latvian Telecommunications Association member employee retraining", which is co-financed by European Social Fund. 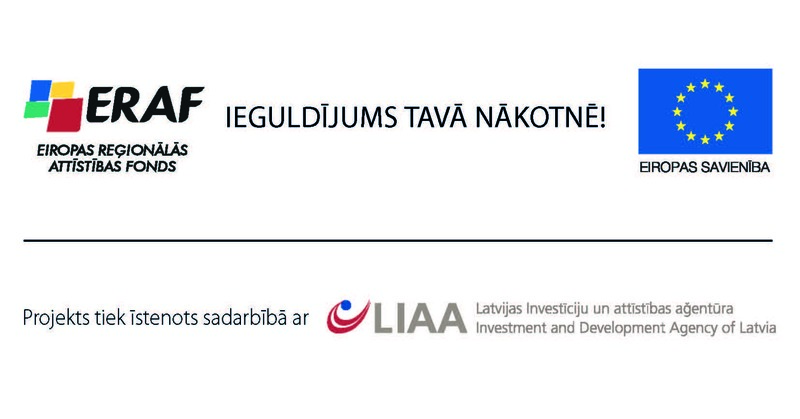 On December 15th 2010 Latvian Internet Association and Investment and Development Agency of Latvia have signed an agreement No. L-APA-10-0024.